Three games into the league after Jose Mourinho saw the exit doors, Ole Gunnar Solskjaer has already made his wards march to his tune as they breezed to another victory against Bournemouth. The difference from Mou's Red Devils to Solskjaer's squad seems to be night and day. It's as if the shackles were just released and everybody on the team has been performing freely and with more swag. Let's take a look at what changed in their approach to the game. After a long and controversy-filled stint with the Portuguese boss, Paul Pogba looked to be dabbing his way back into his old self, or even better, a new Pogba. In their recent victory against Bournemouth, the world cup winner scored himself two goals from a lovely play amongst the team. With Pogba unleashing what he can truly do, they are now on course to produce a better performance of what they should be doing since the start of the season. During Mourinho's reign at Old Trafford, it simply felt like the attack is a bit constrained if not restricted at the time. Since Solskjaer took over, they were simply firing on all cylinders. Over the last three games, they've already scored 12 goals, two goals more than the last five games of Mourinho with United. Simply put, Ole's appointment as the caretaker manager brought a lot of impact on the way they push forward for the attack. It seems like all he needed to do was to allow his players to do exactly what they do best to bring them back to winning ways. Just like what he did with revealing what Pogba could really do, Solskjaer's on his way to re-polishing the dusted gems his team has. Take Alexis Sanchez for example. This guy has scored his way to greatness with FC Barcelona and made a whole new name with Arsenal. But since his arrival at Old Trafford, he seemed to have lost his touch and has depended on his late-game scoring skills. Now that he's coming back from injury, Sanchez seems to have the backing of Solskjaer who loves attacking football which could also play a part for the Chilean as he's shown how good he is in that department. What's next for the Red Devils? All that we know from now is that Ole has brought a new life back into the squad but his position is not permanent. 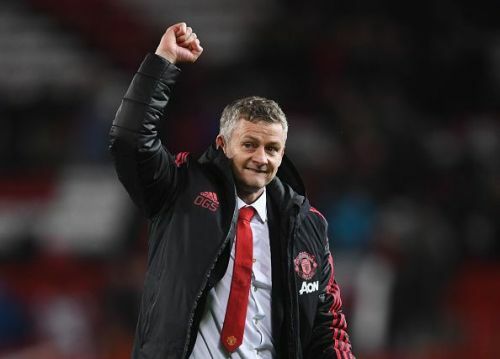 Though he already delivered such a success over the last three games, United's still looking for a new gaffer who will step in for Solskjaer. Mauricio Pochettino and Jurgen Klopp are the top candidates as of the moment, however, Tottenham and Liverpool will pretty much keep their gaffers due to the results they are giving to the club. With that being said, a certain Marco Rose, the conductor of Red Bull Salzburg's run towards the semi-final of the Europa League last 2017. Though he's made success in 2017, this is just his first managerial stint for a senior club. He's known to use a traditional 4-4-2 formation which might work with the free-flowing attack the Red Devils are currently displaying. The only downside is how will he implement it? Is it the right decision to look for someone to manage the club despite the results Solskjaer promises and delivers? We'll be finding the answers to these questions as the season progresses.